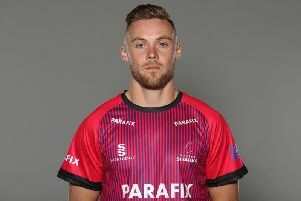 Batsman Phil Salt has praised Sussex’s team spirit ahead of the Vitality Blast T20 Finals Day at Edgbaston on Saturday. Sussex finished third in the South Group to qualify for the quarter-finals and then won by five wickets at Durham Jets to reach Finals Day. Salt now has his eyes on the main prize as Sussex – the 2009 winners – prepare for their first Finals Day since 2012. The 22-year-old said: “With the squad we’ve got, we’re one of the strongest teams out there and Finals Day is something we’ve always had our eyes set on. Salt could not give higher praise to his fellow team-mates as he highlighted the closeness of the group. He said: “The team spirit has been quality, we’ve got a good group of lads. Sussex meet Somerset in their semi-final at 2.30pm on Saturday. Worcestershire and Lancashire play the other semi in the morning. The final is Saturday evening.